Home sharing will gradually take a sizeable dent out of housing demand. 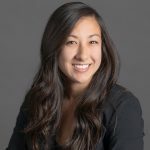 Just like Uber matches car owners with passengers and Airbnb matches homeowners with short-term renters, new technology companies match homeowners with long-term renters. These sharing economy technologies will keep household formation and new home construction lower than most have projected. Homeowners in need of additional income, either for retirement or to make the mortgage payment, can now match with renters in need of more affordable rent. Together, they will make life less expensive for each other. 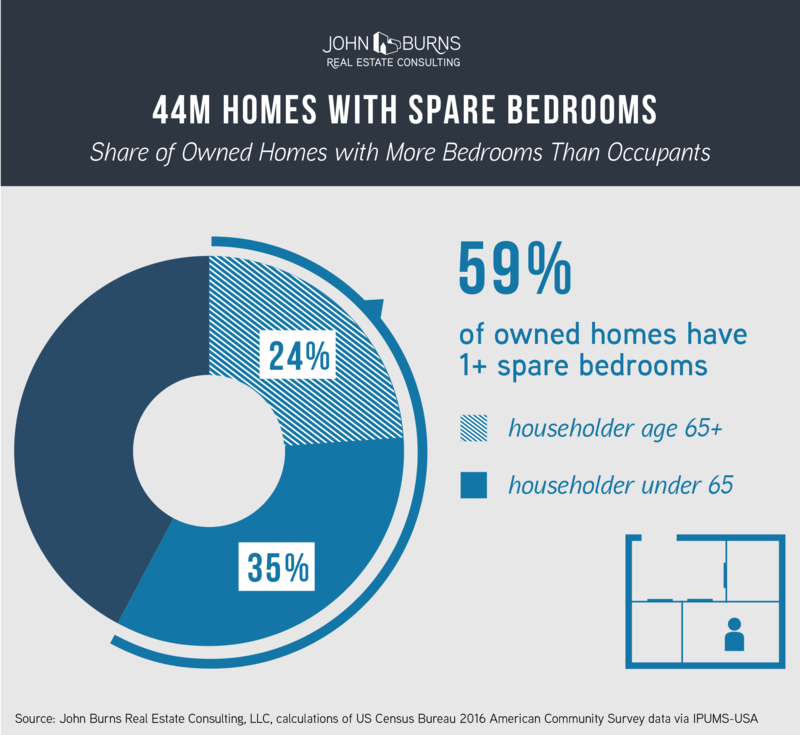 44 million owned homes in the United States have empty bedrooms (and probably more, since we assumed every household member sleeps in a separate room). Retirees own 18 million of these homes. Just like millions of Airbnb users prefer to pay less for accommodations, millions of renters prefer to pay less in rent. Across major metros, effective rents are almost 23% of median income, the highest level in 10+ years. With rents so high, more renters are looking to home sharing as a cheaper alternative to traditional renting. Demographic shifts, many of which we identified in Big Shifts Ahead, contribute to the demand. Single-parent households have risen to 9% of all households in the country. Single parents need affordable housing, a safe place for their child after school, and a location in a good school district. Home sharing options like CoAbode, an online service that matches single mothers, help provide that. The population aged 65+ will rise 38% over the next 10 years, creating a huge population in need of additional income, especially in a low interest rate environment. A great tenant/roommate can also ameliorate loneliness. Add the opportunity to have a younger tenant run errands or to have a retiree landlord watch a child in the afternoon to save on daycare expenses, and the tenant/landlord relationship gets even better. Many foreign-born cultures are comfortable with home sharing. 13% of Americans were born in another country, and that share is growing. Here is a website devoted to helping Indian roommates find each other. College students have become accustomed to saving money and finding what they need online. There are plenty of rooms for rent near college campuses, and at least one website designed to pair students with landlords. Students agree to help with tasks, and in exchange they pay less in rent. A small but increasing number of retirees already rent out their spare rooms for short-term stays through Airbnb. In fact, Airbnb reports that their fastest-growing host demographic is seniors, most of whom are empty nesters desiring additional income.1 We suspect that more than a few of them enjoy the additional company as well. Prospective home buyers can also take advantage of home sharing. Fannie Mae recently decided to allow home buyers to use tenant income to qualify for a mortgage, opening up the door to allow renters to become homeowners if they can rent out a room.2 Many young adults (including a group we nicknamed The Sharers in our book) are completely comfortable with this concept. We have seen it with one of our team members and the son of one of our clients. Another type of home sharing called co-living has grown in popularity, both for its creation of a sense of community and for its convenience. Operating like a modern-day boarding house, co-living residences by companies like WeLive and Common bring groups of like-minded strangers together under one roof. While not necessarily cheaper than apartment living (many co-living houses come fully furnished and packed with amenities), co-living offers flexible shelter with all the perks of living in a college dorm. 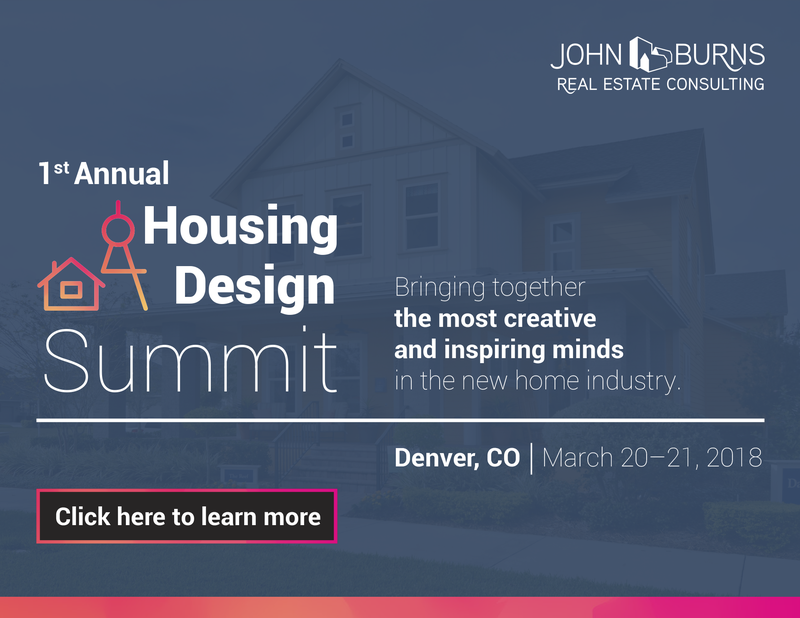 We will learn more about cohousing from architect and TED talk speaker Grace Kim at our invitation-only 2018 Housing Design Summit this March. If you are interested in becoming a DesignLens™ client and attending, please fill out this form. We will continue to monitor this trend carefully, as it will affect household formation and in turn, both rental and home-buying demand. 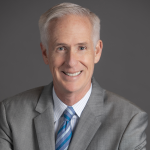 For more information on housing demand and a framework for shifting your thinking as new trends emerge, see the 4-5-6 Rule we developed or contact me any time at 949-870-1203 or msharp@realestateconsulting.com.